Here are two latest additions to my Perdita crew; Enslaved Nephilim and Francisco Ortega. 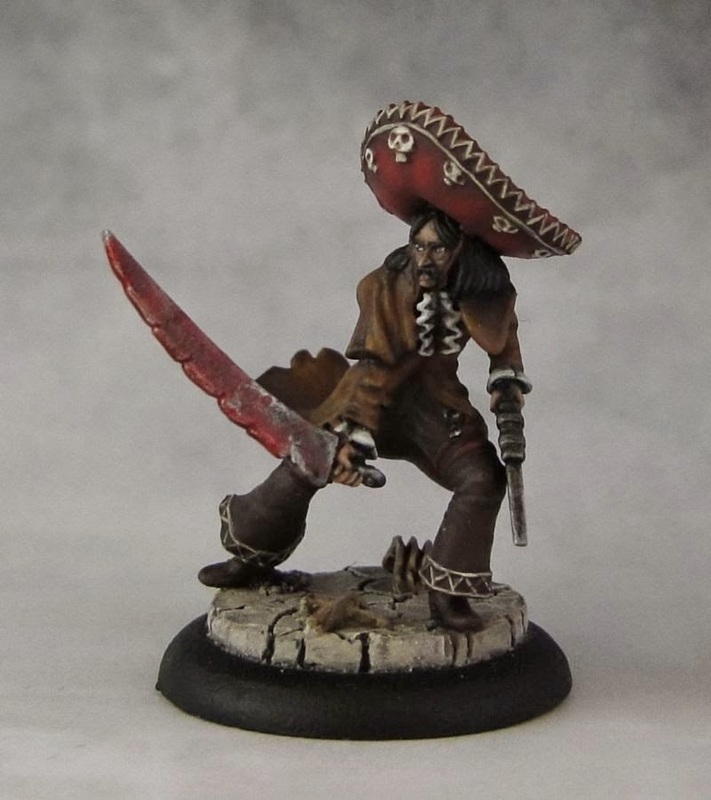 It means that I have another crew fully painted and ready for gaming. 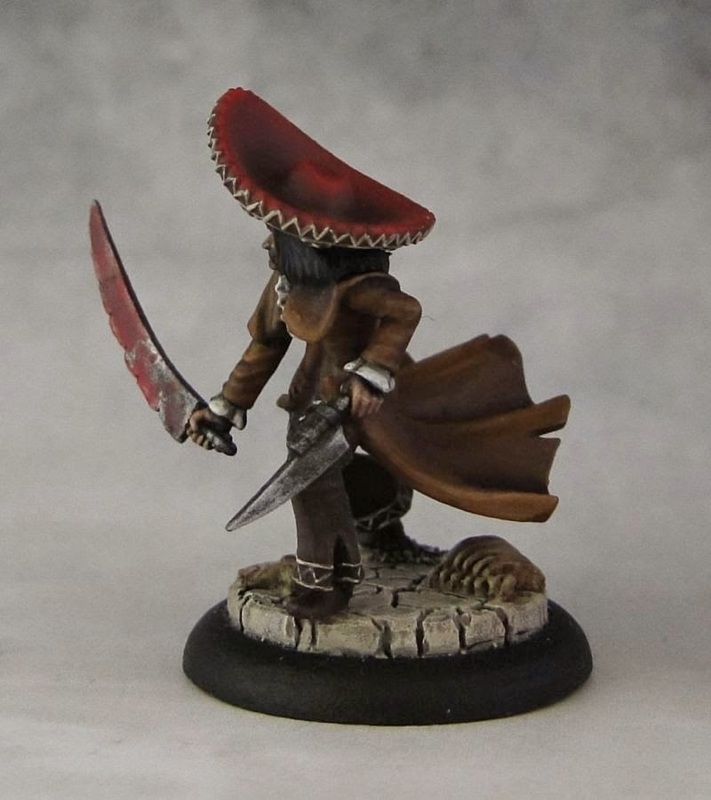 I think I'll be using this one mostly (I also own LJ, Sonnia and McCabe's crews) as I really like their style. Enslaved Nephilim is Perdita's totem. It can be pretty useful in game with its push action. I like to activate him early to get the things started and put other minis in position. Ha also has an obey-like actian available but making it work requires really good hand and these cards are probably better spent on Perdita's triggers. 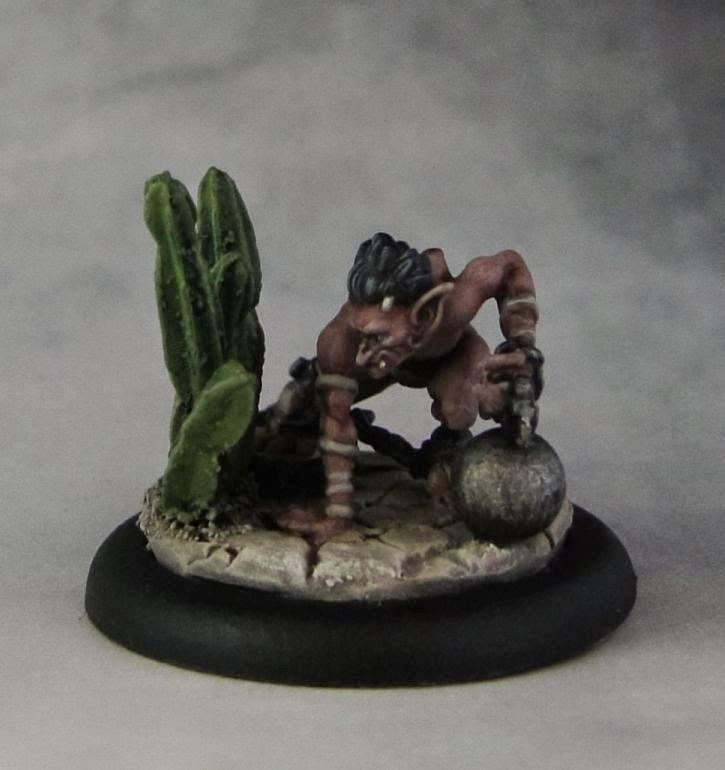 The miniature is very nice as it depicts a sulking Nephilim who's slowly stalking towards his victim (or perhaps towards his much desired freedom?). 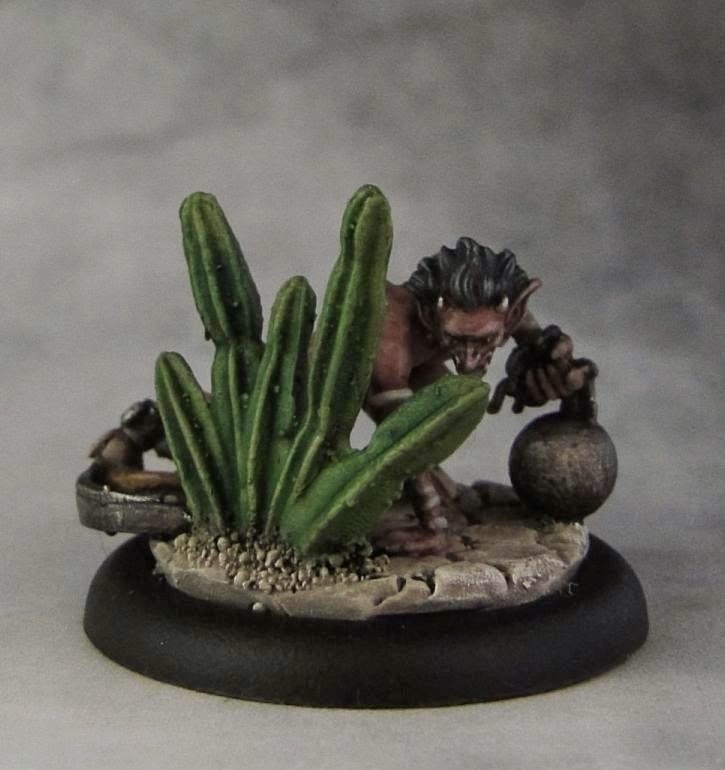 I thought that it would look a bit boring with an empty base so I added a cacti and a damaged cart wheel. I think those changes worked well towards emphasizing his mean character. 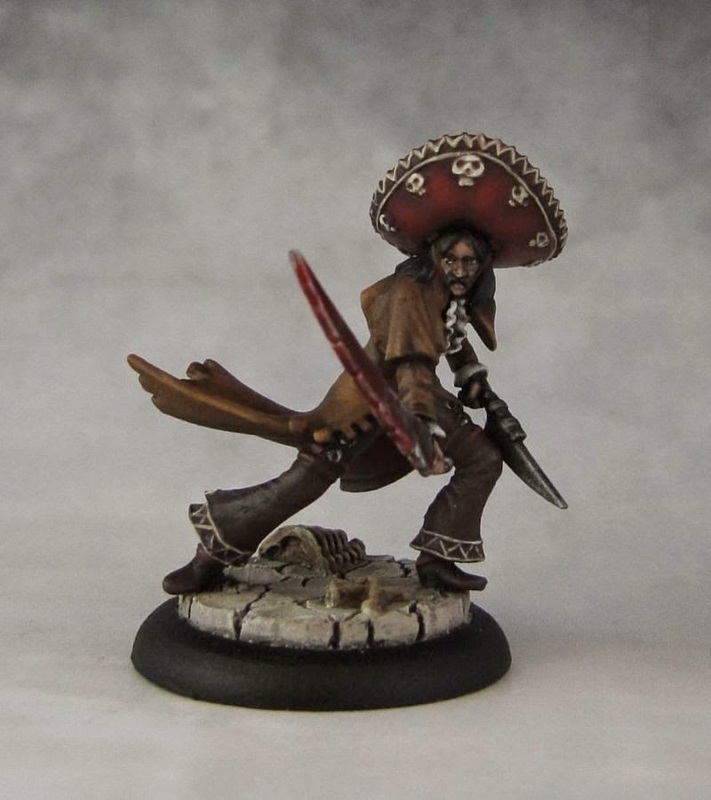 Francisco Ortega is an interesting character. He passed the leadership in the Family on to Perdita as he decided she was more than capable of being the leader. However, even as a henchman he brings a lot of options to the table. The El Mayor rule can be a great boost to 'Dita as it gives her +2 DF and WP for one turn. With a decent Sh of 6 and a damage profile of 2/3/4 he can be useful in shooting. Yet it is in melee where he really shines. First off, his (0) Finesse action makes it harder for other models to hit him in combat. He can attack as many as 3 times with Flurry and the (1) Enfrentate a Mi! can be both an offensive and a good tactical action that can free other crew members trapped in melee combat. For some reason painting him took much more time than I had expected. Maybe it's because of the mainly brownish color scheme. Sometimes it takes a while to get the colors right. 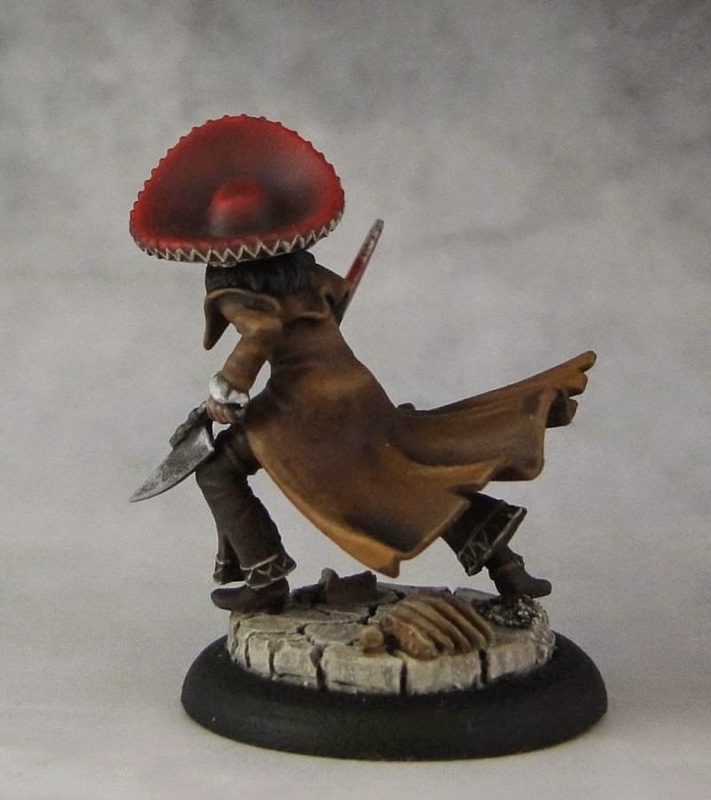 I was also not sure about the details on his sombrero and deciding on how to get them right took a while. And finally, here's a picture of a happy family (only Abuela is missing - I have the metal version but I am really looking forward to the release of the plastic one). And a nice vibe to go with the post.